Annotated family trees of the Fraser, Wilkes and Horton families. For a more complete biography see the Hull University Herbarium website. Chronological list of Fraser's specimens held in the Hull University herbarium to show his movements. The Wolverhampton Museums, Galleries & Archives still hold Fraser's geological collection. John Fraser was born in Barony, Glasgow the second child, and the elder son, of builder David Fraser and his wife Helen Tennent. After studying Medicine at Glasgow University he moved to various practices in Co. Durham before moving to Wolverhampton in 1854, where he was to live for the rest of his life. His medical training in Glasgow involved an element of botany and he is known to have spent time in the field with Prof. Arnott. This early interest appears to have revived in the early 1860s which extended to cover mosses too. Like his associate, Rev J H Thompson, he was also a keen geologist. On his death his geological specimens went to Wolverhampton Museum and his herbarium eventually ended up at Hull University. 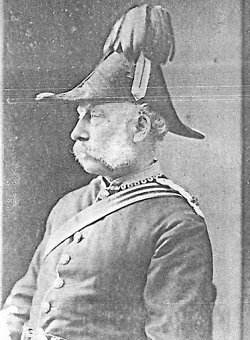 1820 March 20 : Birth Barony, Glasgow, son of David Fraser and Helen Tennent. 1843 : M.A. Awarded M.A. degree by the University of Glasgow. 1861 July 25 : 1st Marriage Marriage at Wolverhampton to Sarah Wilkes. 1862 : DMGSS John Fraser was an early member of the Dudley and Midland Geological and Scientific Society and Field Club. 1863 May 15 : WNC Elected a member of the Worcestershire Naturalists' Club..
1865 : Ed. Bot. Soc. Elected as a non-resident fellow of the Edinburgh Botanical Society. 1865 : RHS medal He was awarded a silver medal by the Royal Horticultural Society for his collection of Staffordshire plants made in 1864. 1866 August : Cader Idris The Annals and Magazine of Natural History, Zoology, Botany and Geology volume 109 for January 1869 carries an article by Rev W A Leighton entitled "The Lichens of Cader Idris", documenting a visit to the area made in 1866. In this article John Fraser receives specific mention. "I was now joined by my friend Dr. John Fraser, of Wolverhampton ; and we essayed the ascent of Cader Idris by the lakes, purposing to examine carefully the northern escarpment. We had, however, scarcely surmounted the moraines before a beating hailstorm and pelting rain chilled, benumbed, and wetted us to the skin, compelling us to halt and seek shelter amid the boulders. But, no abatement in the storm occurring, we were obliged to descend and return home through the morass, which (and even the turnpike road itself) was swimming with water several inches deep. Our gatherings were necessarily trifling- Parmelia conspersa, Ach., with spermogonia, Lecanora cervina, Ach., var. rufovirescens, Tayl., and a few other species before enumerated. The evening was spent in a walk to the famous " Torrent Walk," which proved to my friend a very paradise of mosses, but afforded nothing of any interest in lichens. Nothing daunted, we next day tried Cader Idris from the north-west, purposing to traverse the summit eastward to Dolgelley, but were again beaten back by dense mists and drenching rain, collecting nothing save Lecidea milliaria, Fr., f. sporis subsimplicibus, Lecidea flavovirescens, Mass., L. bacillifera, Nyl., f. muscorum, L. coarctata, Ach., f. elachista, Ach., Lecanora ventosa, Ach., thallo pallidiore, and Lecidea rivulosa, Ach. A fine day now tempted me (in the absence of my friend, who went to Barmouth in search of mosses)..."
1871 July : Switzerland Visit made with his nephew Samuel Theodore Mander and Rev. J.H. Thompson. Specimens in HLU collected at St Moritz, Albula Pass, St Gothard, etc. 1872 : Switzerland Visit to Switzerland. Death of wife Both his wife, Sarah, and youngest daughter, Agnes, died with a few days of one another. 1877 : 2nd Marriage Marriage to Charlotte Ann Horton in Cradley, Worcestershire. 1888 August : Pyrenees Trip made in company with Rev J H Thompson who died the following spring. 1890 July : Norway Trip of at least two weeks duration. Death of wife Probate granted at Lichfield to her sister Sarah Fieldhouse Aston. 1909 April 13 : Death The linked document is his Obituary from the Transactions and Proceedings of the Edinburgh Botanical Society.